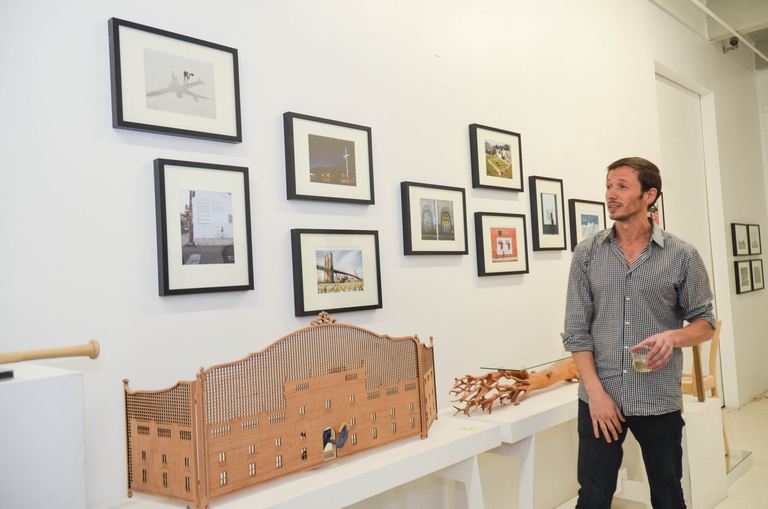 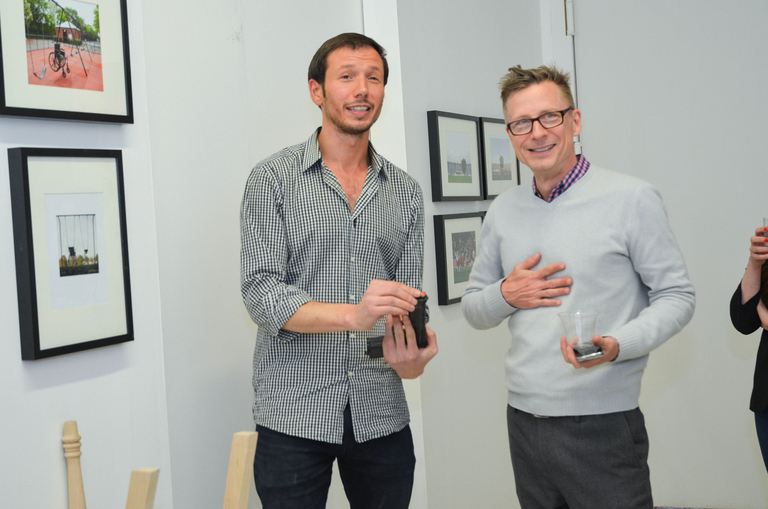 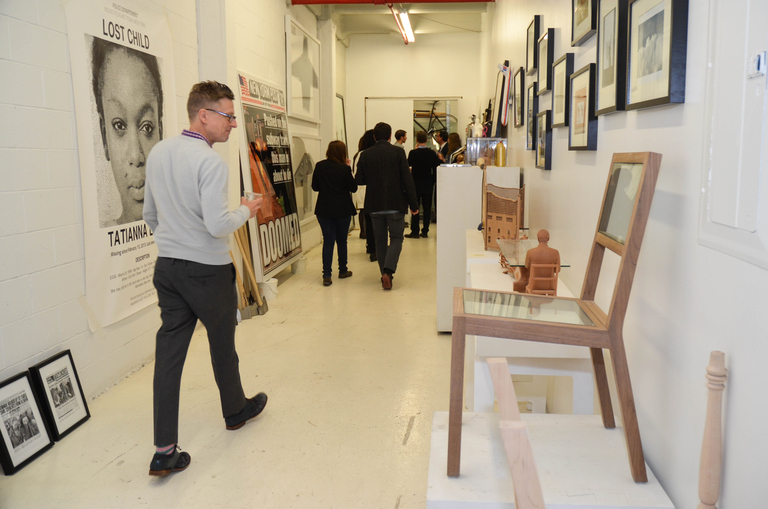 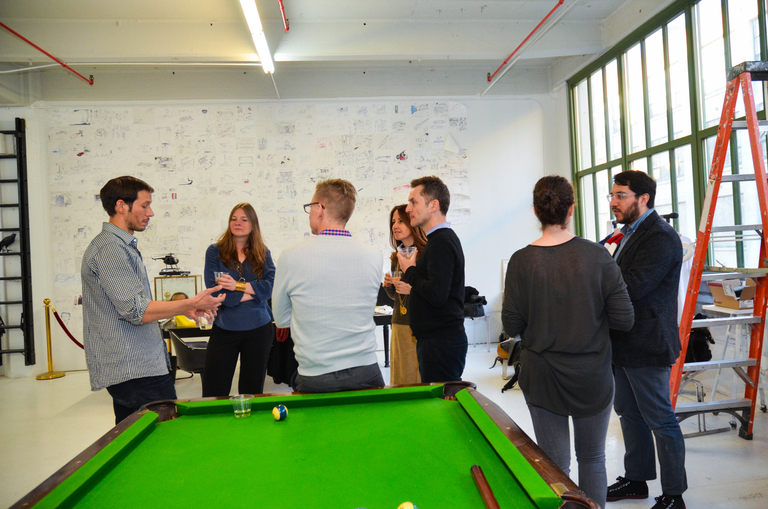 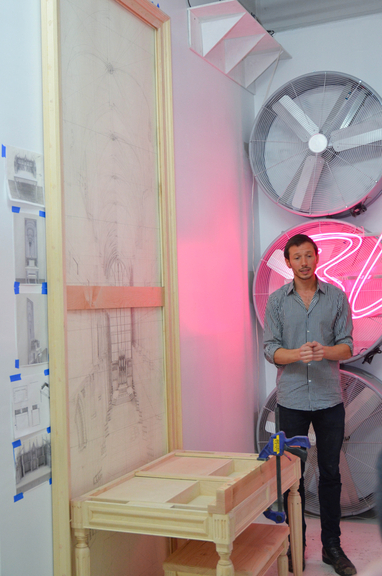 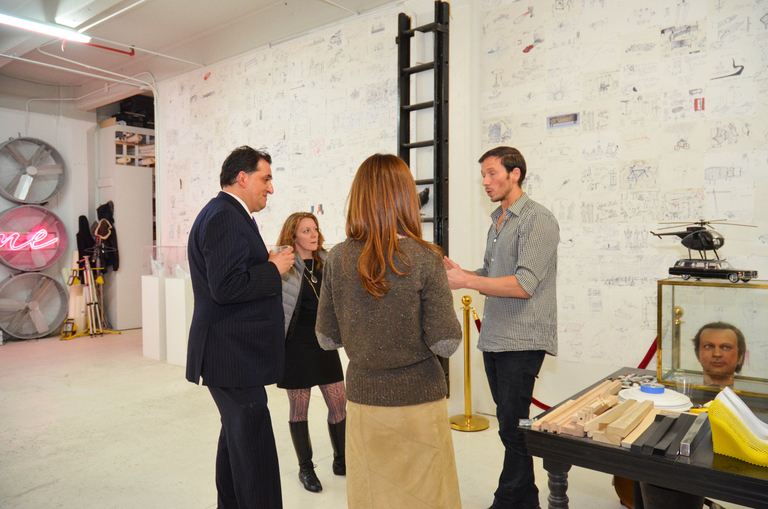 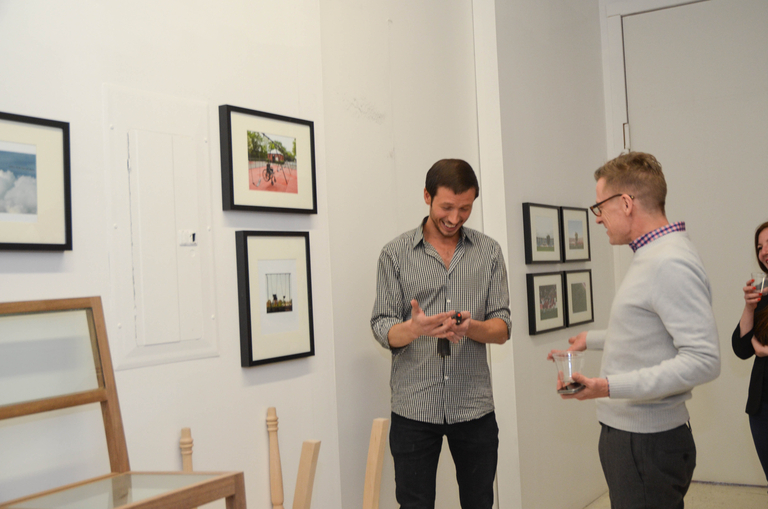 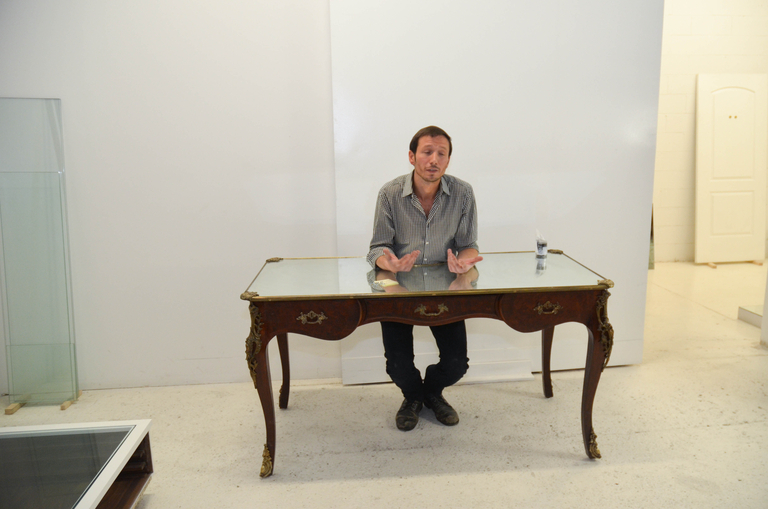 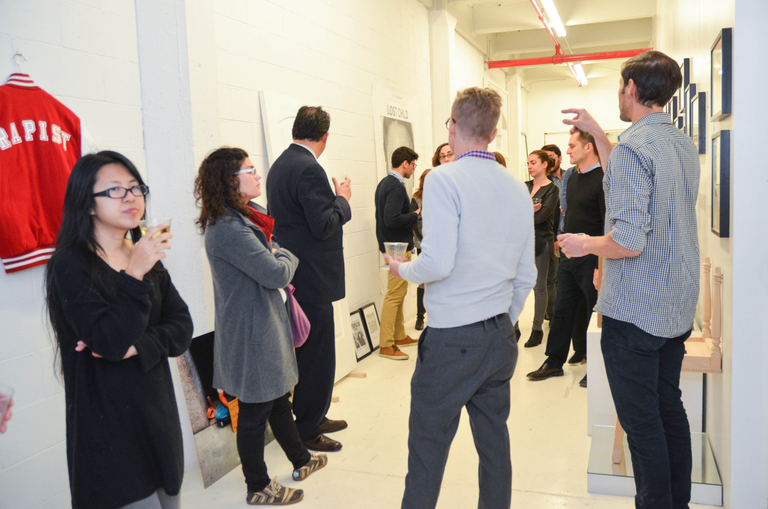 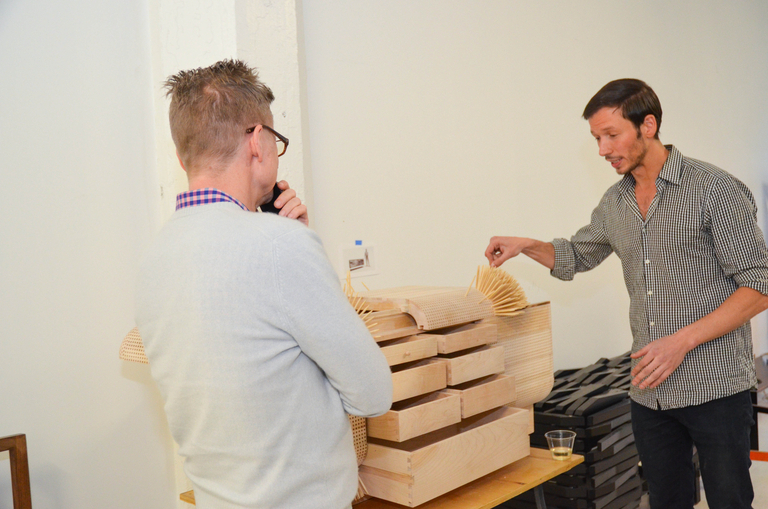 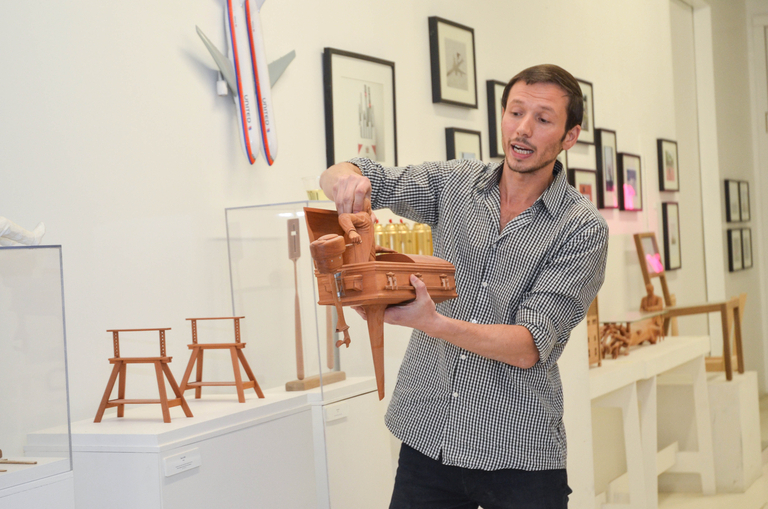 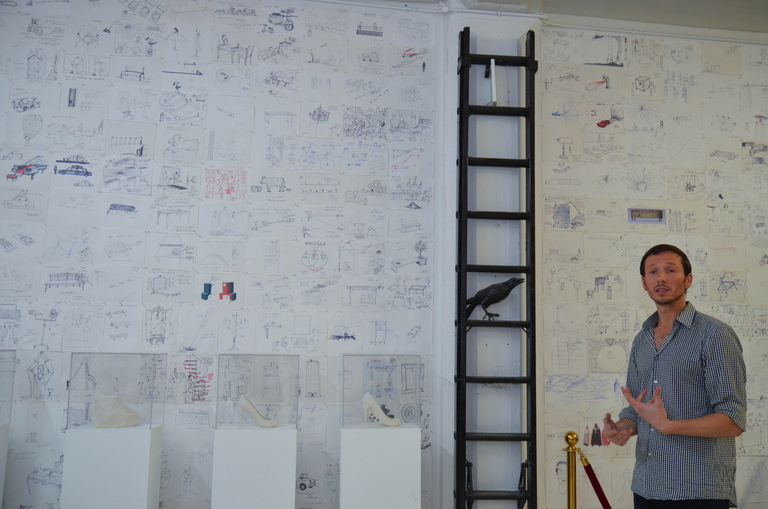 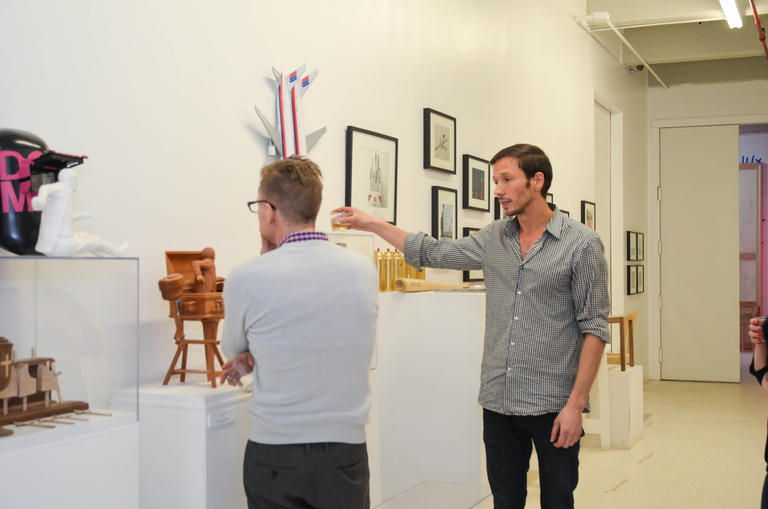 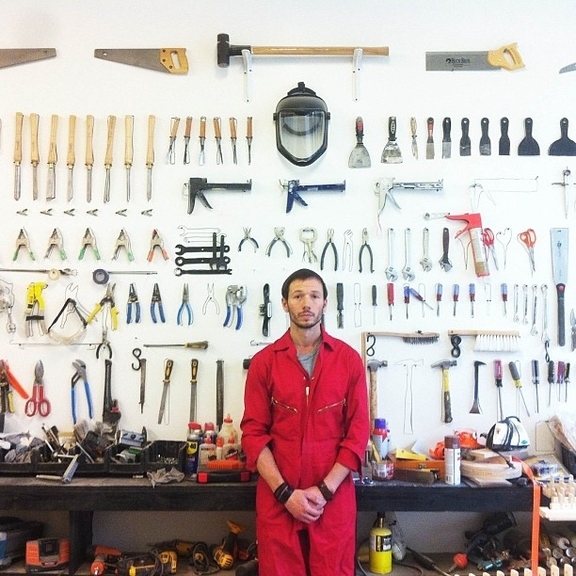 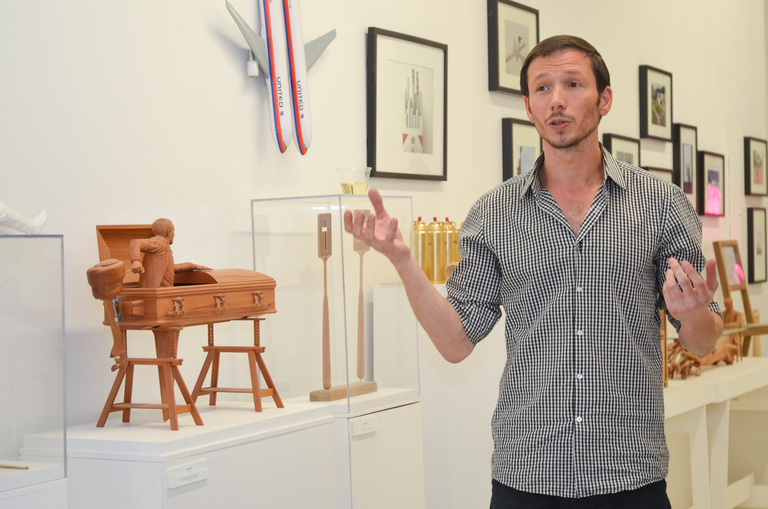 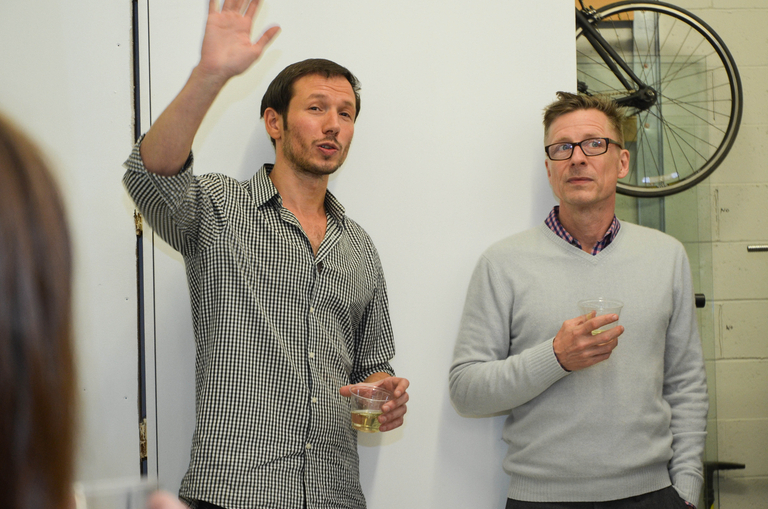 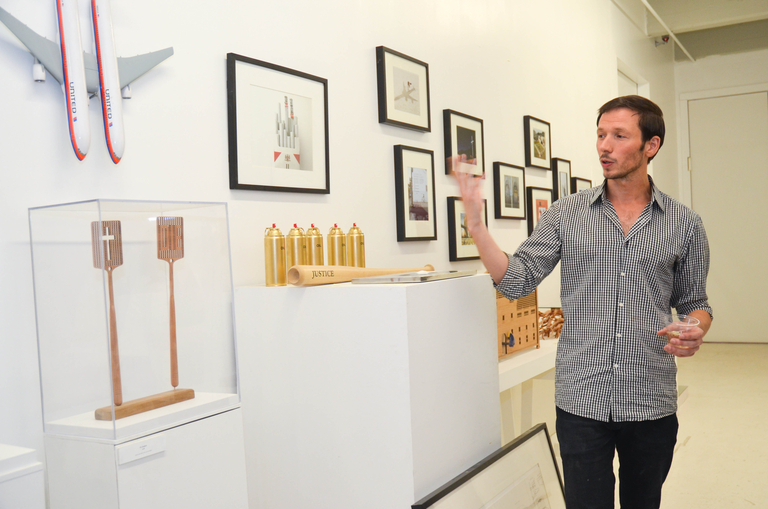 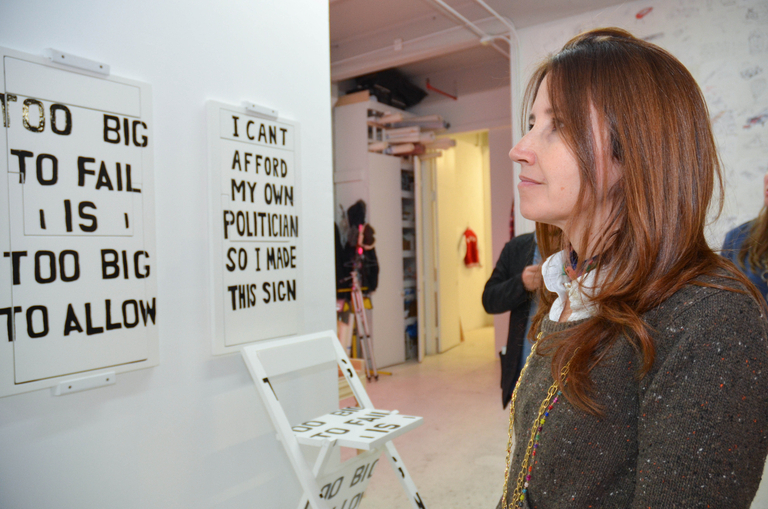 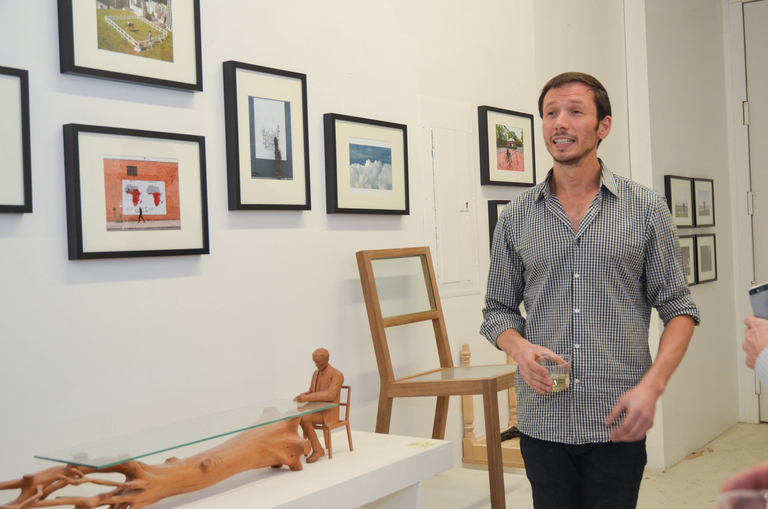 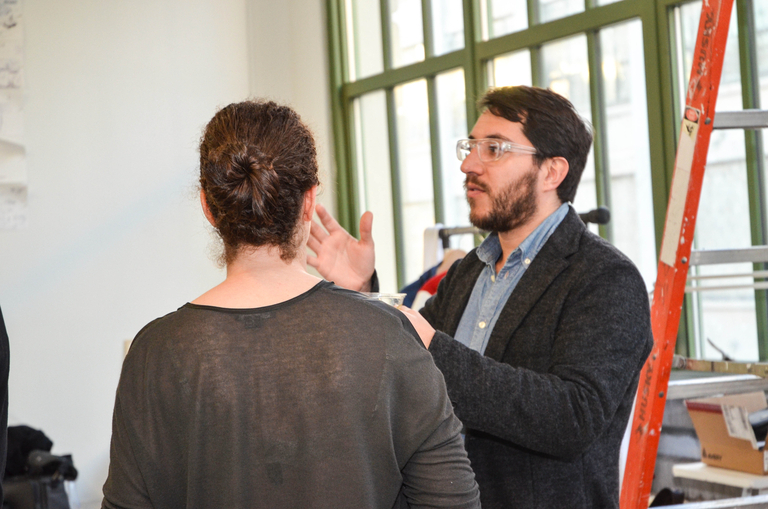 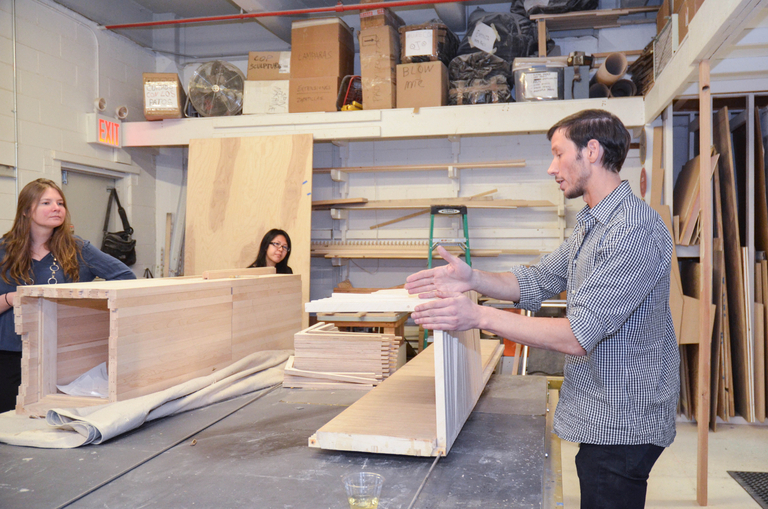 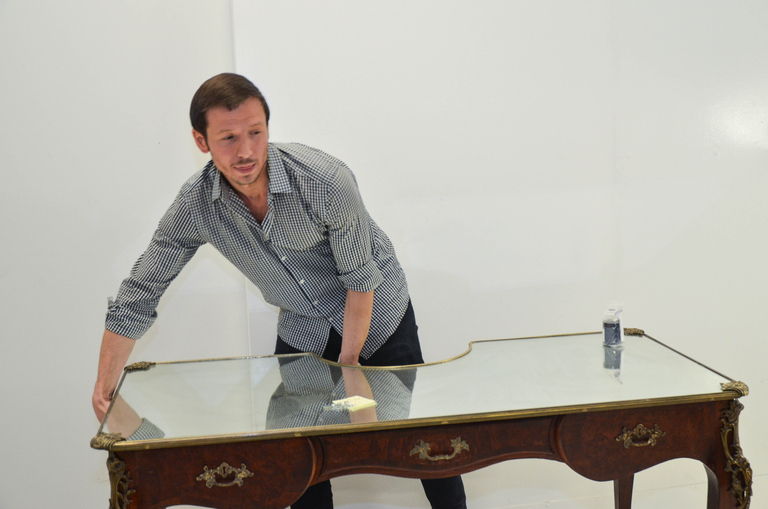 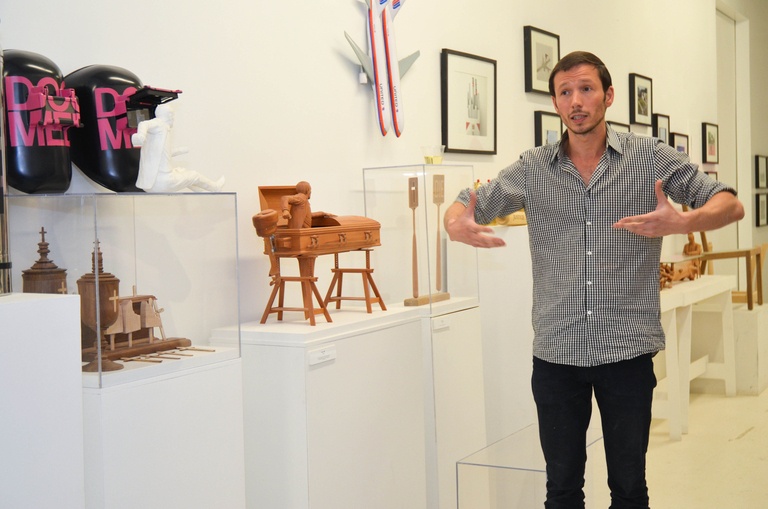 Behind Tough Love: Member's Studio Visit with Sebastian Errazuriz. 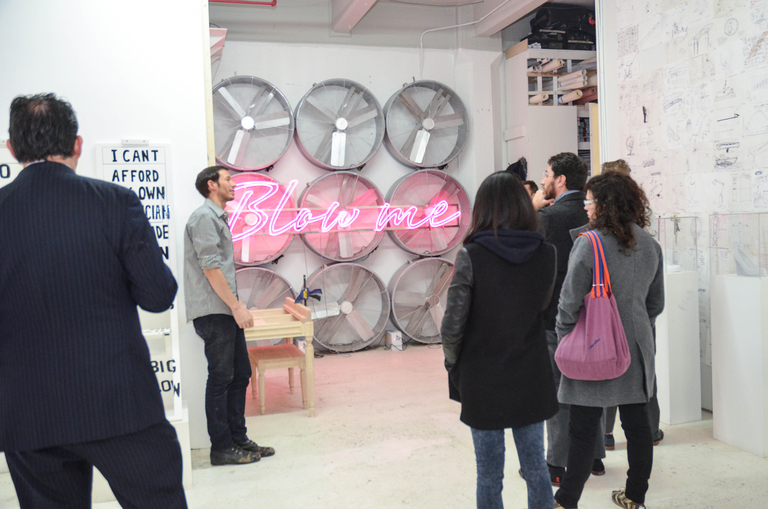 Courtesy of Storefront for Art and Architecture. 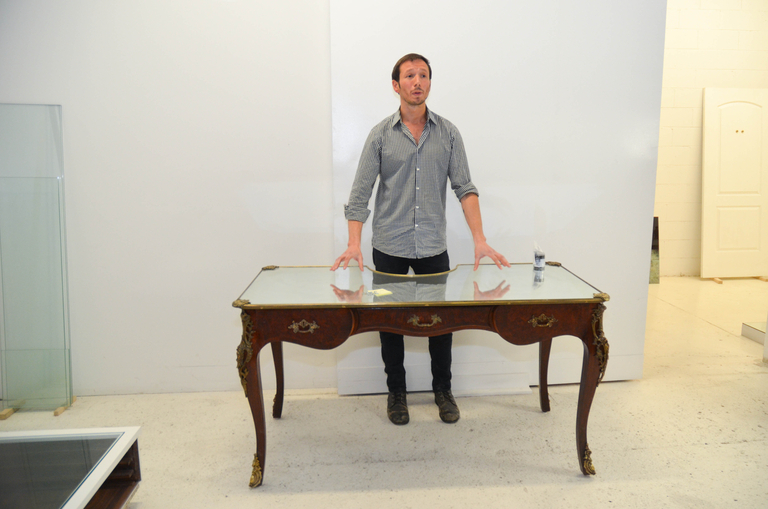 Storefront for Art and Architecture is pleased to offer Storefront Members a private and casual tour of artist-designer Sebastian Errazuriz’s studio in Brooklyn, New York on April 16th. 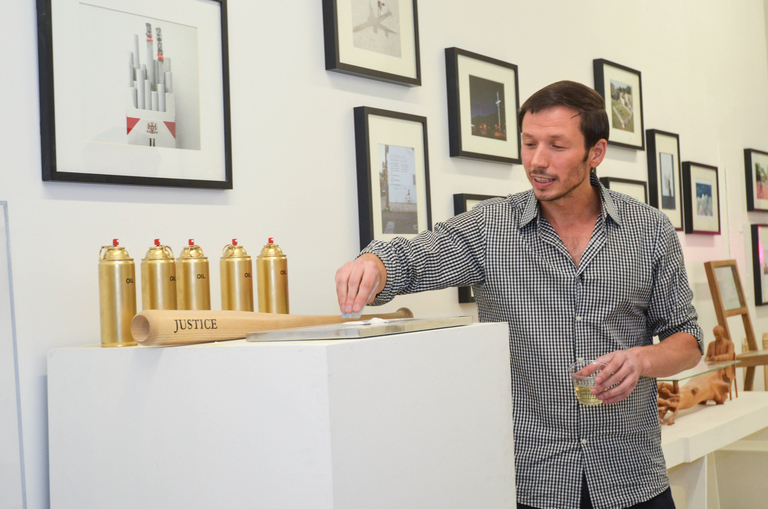 Tough Love , Storefront’s current exhibition, is a solo exhibition by Sebastian Errazuriz and will close just days before this tour. 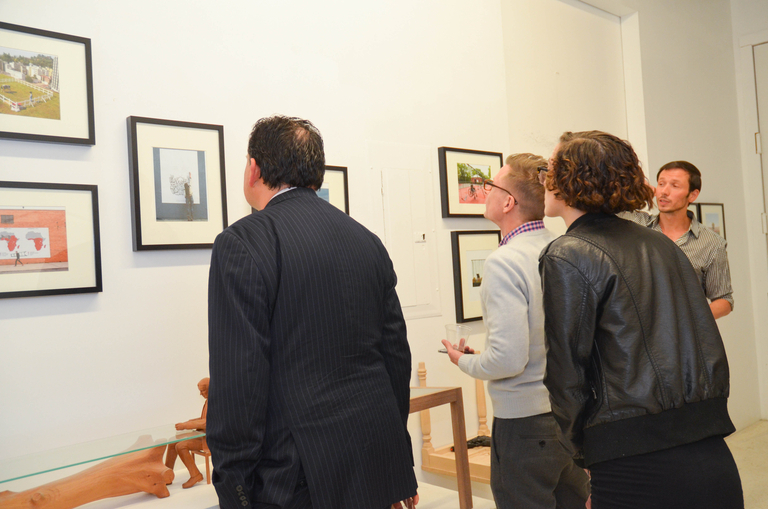 The exhibition addresses some of the most pressing issues being faced in the United States today. 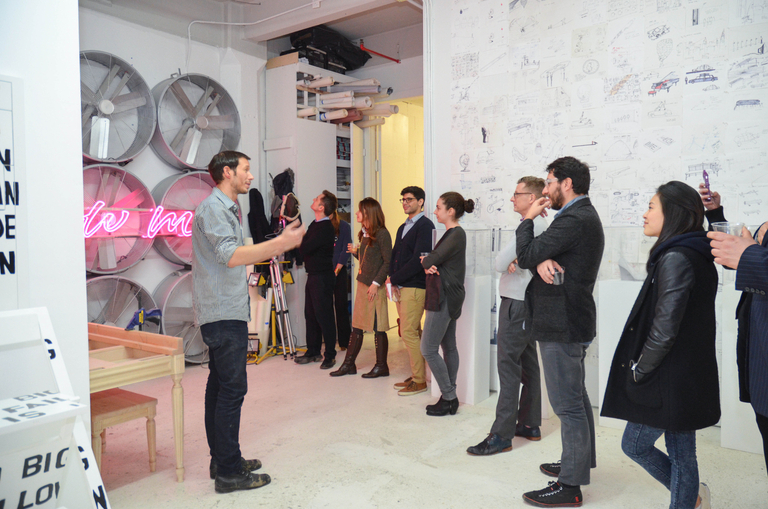 The tour will begin at 6:30pm and refreshments, snacks and conversations on the role of the artist in contemporary culture will be offered. 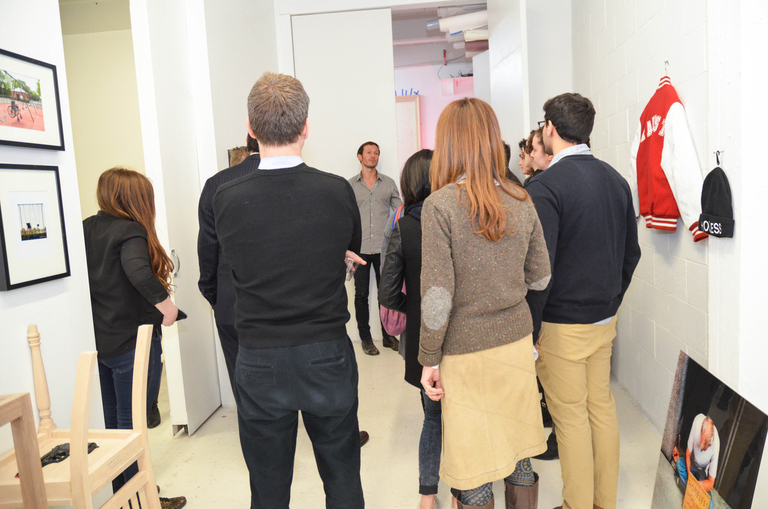 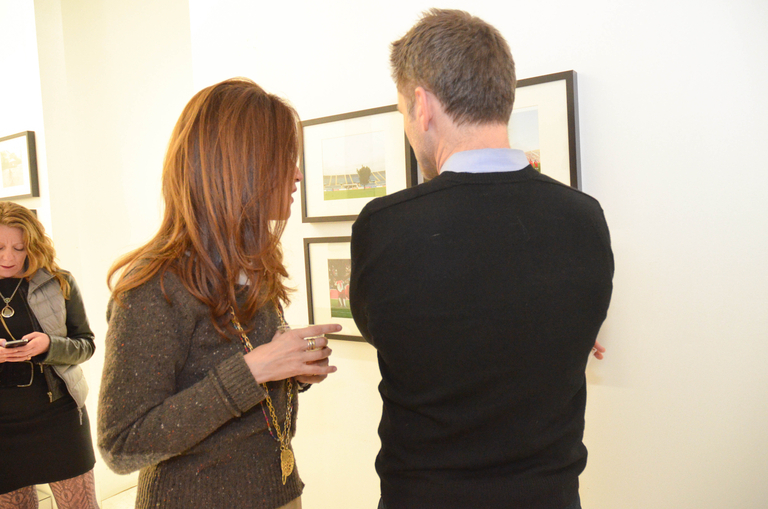 This tour is free for Storefront Members and a guest. 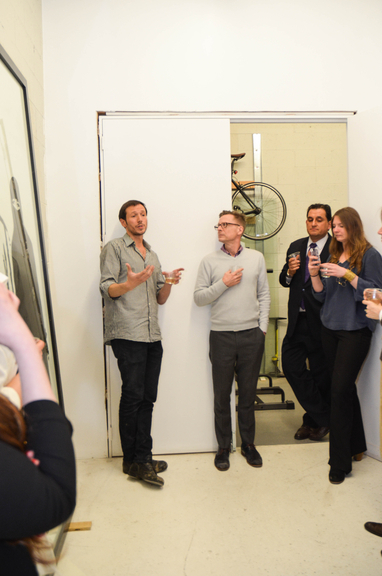 If you are a Storefront Member and would like to attend, please send your RSVP to membership@storefrontnews.org. 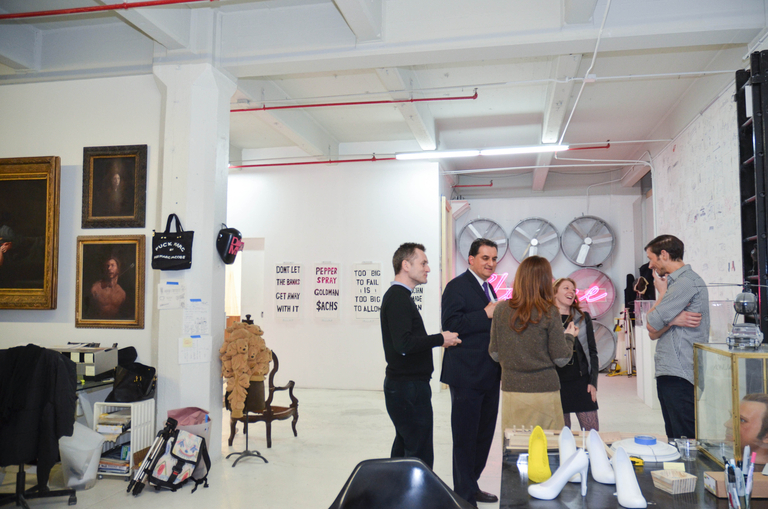 If you are interested in attending by becoming a member, click here. 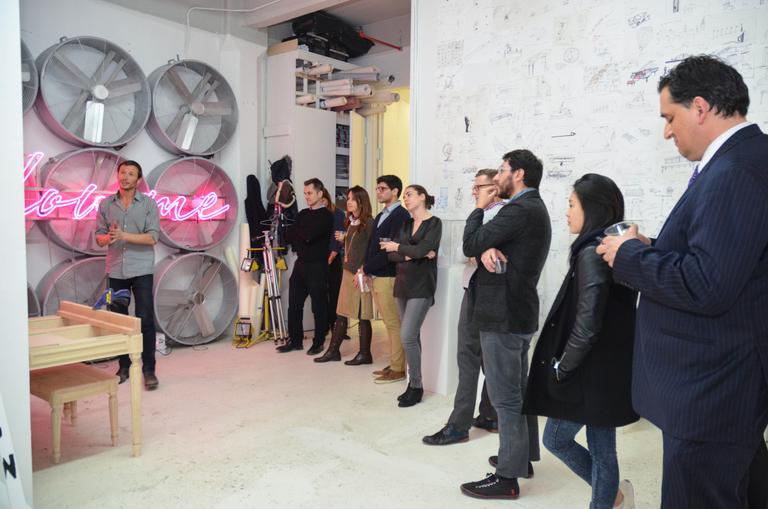 If you have any questions, please email membership@storefrontnews.org.